I‘m sure many of us have them, the old drab looking playhouses that come in only certain colors and most of them not very vibrant or lively! I picked a used one up for under $40 and my daugther loved it but I hated how it looked! I know it’s just a toy and for the most part I can deal with ugly toys since half of ours are used and from garage sales (hello frugal!) but this one had SO much potential I couldn’t bare to leave it alone! You can’t get a good coat of paint on dirt so you’ll want to make sure you give the playhouse a good scrub down before the first coat of paint. Don’t worry if it’s not perfect, I missed spots and found them to be quite easy to brush off after the first coat of paint! 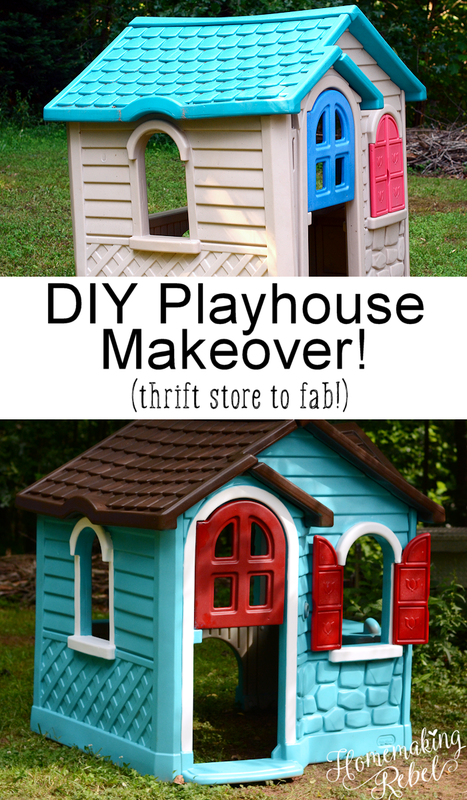 This is the smart way to do it, take apart your playhouse and separate the pieces for painting. This will make life much easier with all the curves and nooks when it comes to the painted playhouse. Now the fun begins! Add a few coats of spray paint to each section. Again, make sure you’re using spray paint for plastic so it properly sticks. I only found a select few colors at the home improvement store meant for plastic. If you’re looking for pink, good luck, I found none! So our house ended up blue, red and brown the only vibrant colors I could find. Once the main coats were done on the house it still looked like it was missing something, so I grabbed some white paint (you can use craft paint for this as it’s sticking to the previous layer of paint and not directly to the plastic). Add a few coats of trim wherever you like, don’t worry about making the edges super perfect because there’s a fun trick you can do! Once your trim paint is added grab a small brush and spray your main paint color (the one used on the house itself) into a small tray to dip in. Use your small brush and dip it into the spray paint and go around the white trim to touch up any areas. This is SO much easier than trying to be exact when painting the white and will save you so much headache. Enjoy your new ‘piece of art’ that the kids can play in all day long and you can stand to look at in your back yard! It turned out so cute! 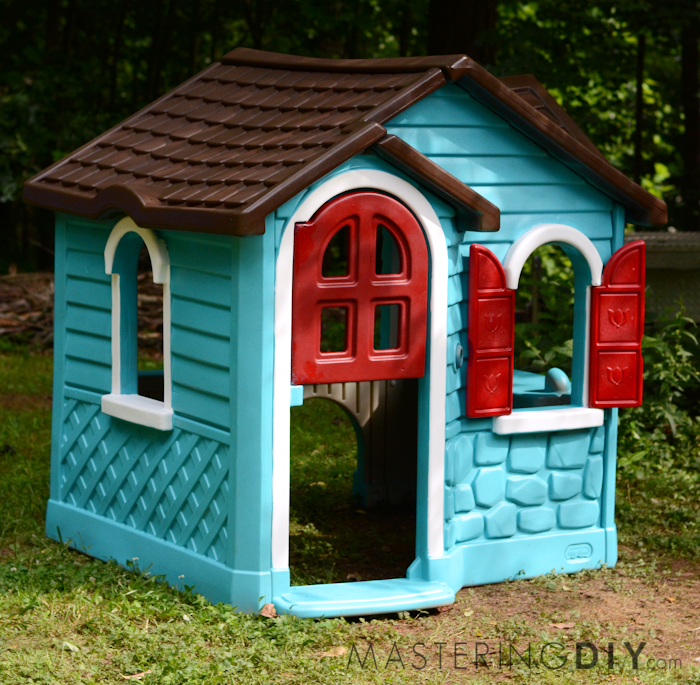 We have an old playhouse just like this that needs a good makeover! Thanks! It was a bit time consuming but so worth it! I am wondering how it has held up over the past year! Hey Tina, it’s actually help up well here in Georgia! The paint on the roof has chipped a bit because it sits under a tree here so things fall on it but besides that it’s doing well. I’ve even hosed it off a few times with no problems! Did you have to sand any rough spots before you painted it? How much did it cost to paint it?? Is the Blue color on the house, Krylon Fusion Blue Hyacinth ? Did you paint the inside as well? I am trying to find that color blue, but I can’t seem to find it online! Can you share what brand/color it was? I am only finding dark blues! I can’t recall the exact color, I picked up mine at Lowes but it was very similar to this https://www.amazon.com/Rust-Oleum-Corporation-Painters-267116-12-Ounce/dp/B00BOUH67K/ref=sr_1_13?ie=UTF8&qid=1476793257&sr=8-13&keywords=plastic+spray+paint They had a nice selection! So adorable! Did you paint the inside too? How did you get the windows so perfect? Did they come off? I did not paint the inside (really I was just too lazy haha). The windows I used painters tape around the edges to get a more solid line. So far so good! I’m wondering if you know the style name of the house? We found the same one at a yard sale and I’m looking to order replacement parts. Haven’t had any luck narrowing down the type of house yet! 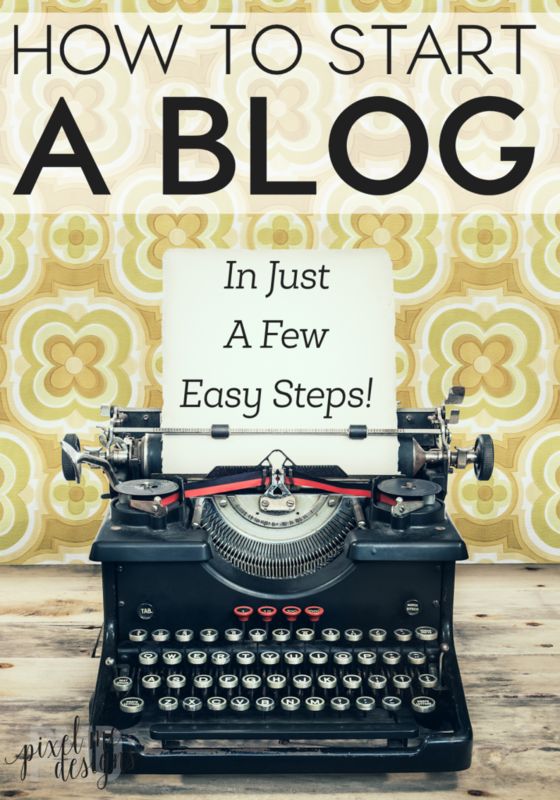 Thank you for your time, and for sharing this neat idea! It is an older model Little Tikes Playhouse, I am not sure of the style name or model though as I don’t think they make it anymore.